Rupert Daniel grew up in the projects in the Boston suburb of Roxbury. Family life wasn’t working out very well, he recalled, adding that he used the ample amounts of free time he had to get into trouble. He eventually wound up in the first in a series of group homes, where he learned a lesson that would change his life — although he certainly didn’t know it at the time. “In the group home, you got a weekly allowance of 50 cents, but if you did extra chores like helping to clean the house or the bathrooms, you got $5 a week. I said, ‘OK … if you work, you get money’ — I put that together,” he said, adding that this realization would later help compel him to become a participant in one of this region’s first summer jobs programs in the early ’70s. And through the process of applying for and then getting work at Forest Park, Emerson Wright Park, and other locations, he learned everything from how to present himself at job interviews to why it’s important to show up every day, on time. And he learned some other things as well. 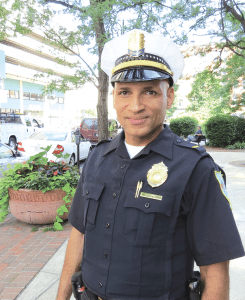 Rupert Daniel, now a Springfield Police lieutenant, said getting a summer job was in many ways a life-changing experience. “I came to realize that a lot of it was hard work and education, and as I started getting older, I said, ‘I have a choice — do I want to hang out with these knuckleheads that are still getting into trouble, or do I want to be like these guys?’” he continued, adding that he chose the latter. And he’s been given every job he’s applied for in a career that has included work in corrections, the military (two tours of duty in Iraq and two more in Afghanistan), and 27 years with the Springfield Police Department, which he currently serves as a lieutenant, spending countless hours trying to keep young people from landing in the kind of trouble that he did. Scripting more stories like Daniel’s is not the official mission of the summer jobs initiative administered by the Regional Employment Board of Hampden County (REB), but it might as well be, said Bill Ward, the organization’s long-time executive director, who said that the jobs program is designed to introduce young people to the world of work and assist them with making some of those important decisions that Daniel made about life and his career. And with that, he summoned the phrase ‘attachment to the workforce’ to describe the program’s essence — and what it provides to conscientious participants. Brianna Davis certainly knows. 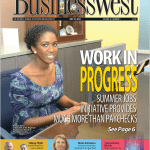 Now roughly three weeks into a job with the REB through the summer jobs initiative, she told BusinessWest that she handles filing, copying, reception-desk work, and other duties, for which she is paid $10 an hour. Perhaps more important than the paycheck, though (that’s perhaps), she said she’s getting her first experience working in an office and with other people. 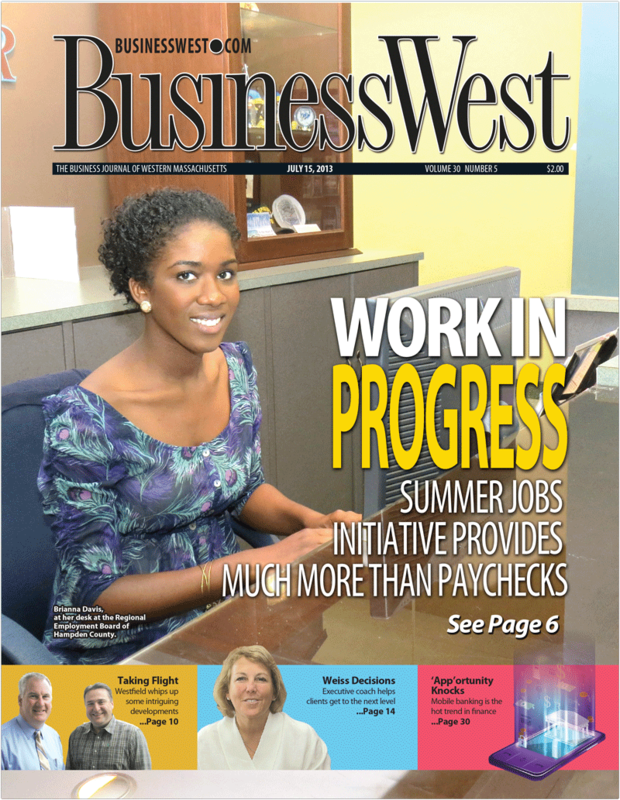 For this issue, BusinessWest takes an in-depth look at the REB’s summer jobs program and the many reasons why those who support it describe it as an investment in its participants — and in the region’s future. Joe Peters says he virtually grew up in the company his father started in Chicopee, Universal Plastics, which he now serves as CEO. And one thing he’s always remembered has been the importance his father placed on summer jobs for young people. “Every summer, he made it a point to make sure that we were definitely employed,” he said, referring to himself and his siblings, “and that even some of our friends were employed. And Peters has continued that tradition, putting his six children (and some of their friends) to work during the summer, while also, and especially in recent years, becoming a strong supporter of the REB’s initiative. Mark Miller, president of U.S. Tsubaki Automotive LLC, with Tom Portenstein, who is now spending his second summer working at the Chicopee plant. When asked why he became involved, Peters referenced a recent report authored by Andrew Sum, director of the Center for Labor Market Studies at Northeastern University, whom he’s heard speak a number of times on the subject of the importance of employment opportunities for young people. 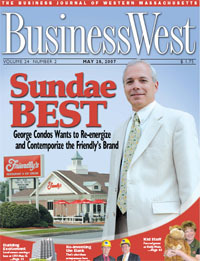 He said Sum’s message has always been consistent — and strong. • “The labor market for teens in Massachusetts and the nation remains extraordinarily depressed,” Sum writes. 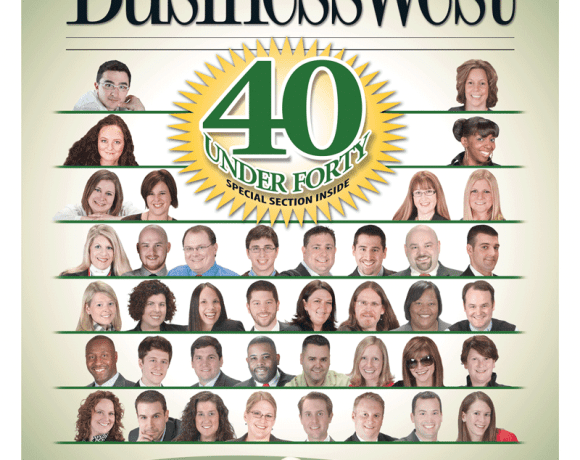 “Last year , only 27% of the teens ages 16-19 in our state were employed during an average month. This is the lowest teen employment rate in our state’s history over the past 45 years. Twice as many teens worked in 1999 as in 2012 (54% vs. 27%). • “Despite job growth in our state and the nation over the past few years, teen employment has continued to decline,” he went on. “From 2010 to 2012, approximately 56,000 more working-age residents became employed in our state, while teen employment fell by 15,000. Across the nation, total employment increased by 5.05 million between the fourth quarter of 2009 and the first two months of 2013, while teen employment fell by 12,000 over the same time period. These statistics are verified by the fact that, for every individual who gets a job through the REB’s initiative, there are probably two others who are on the outside looking in, said Ward, adding that, when young people don’t have employment opportunities, they and the region as a whole both suffer. Young men and women don’t get a chance to learn some of the lessons Rupert Daniel did, and the region is impacted long-term when it comes to the quality of the workforce that will be in place years and decades down the road. Realizing this, state officials, and especially Gov. Deval Patrick, have been aggressive in support of programs to employ young people, he went on, adding that the Commonwealth’s YouthWorks initiative pumps $10 million annually into creating summer employment opportunities, and the $1 million awarded to the REB will fund roughly half of the 1,000 jobs it hopes to create this summer. Overall, public support will finance nearly two-thirds of the jobs created this summer, he went on, while breaking down the program’s many components. Close to 500 jobs will eventually be funded by the YouthWorks program, he said, and offered through vendors that include the New England Farm Workers Council (NEFWC) in Springfield, CareerWorks in Holyoke, the Valley Opportunity Council in Chicopee, and Westfield public schools. Meanwhile, another 130 jobs will be funded by the federal Workforce Investment Act and created through a host of vendors, including the NEFWC, the New North Citizens Council in Springfield, the Greater Springfield YMCA, Pathfinder Regional Vocational Technical High School, and Holyoke public schools. The summer program targets youths from low-income families — there are income restrictions that must be met — and individuals who don’t have the skills and/or connections that are traditionally needed to secure employment, said Ward, adding that more than half the participants are African-American, and another 40% are Hispanic. 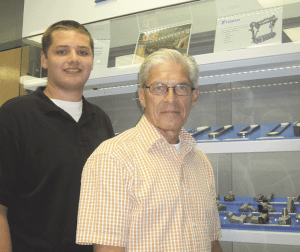 Tom Portenstein is back for his second summer of work at U.S. Tsubaki’s Automotive Division in Chicopee, where he handles a variety of office functions, including data entry and work with human-resources administrators. A recent graduate of Sacred Heart University in Connecticut, where he majored in marketing and sport management, he said he wants to eventually work in sports, but for the moment is keeping his options open. He said his involvement in the summer jobs program has provided learning experiences on many levels. Over the years, U.S. Tsubaki has provided a number of similar opportunities — in its plants and at other locations — through monetary donations to the REB, said Mark Miller, president of U.S. Tsubaki Automotive LLC and a member of the agency’s board of directors. And like others, he describes that support as an investment in the region and its future workforce. 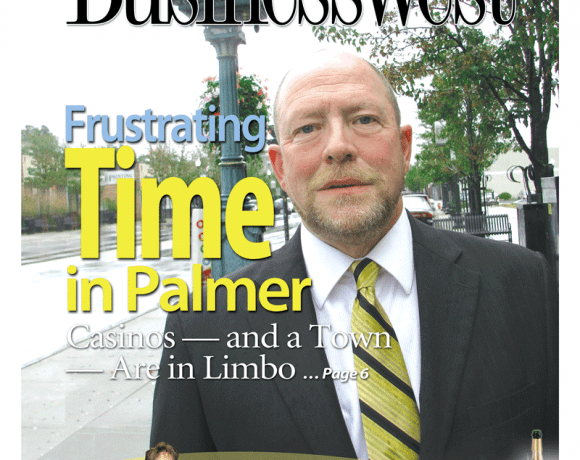 “The Springfield area is hurting from an economic-development standpoint,” he told BusinessWest, “and whatever we can do to bolster these kids, whether they stay in this region or go somewhere else, is worth doing. We can help keep them off the streets and help them to learn some work habits and discipline — things that will serve them well later on in life. For Brianna Davis, the opportunity to work for the REB represents a chance to earn more than she would waitressing (she’s done that at a local 99 restaurant, and therefore knows that summer opportunities — and hours — are limited) and also gain what she considers more valuable experience as she continues pursuit of a career in journalism at UMass Amherst after recently graduating from Holyoke Community College. Looking back more than 30 years, Daniel said he took away many of the same things from his experiences, and these are some of the points he drives home when he talks to young people about the importance of staying out of the trouble that often found him in his youth. The general message he leaves is that, to avoid trouble, youths need to stay busy, and this is a need he works to address in many ways, from a boxing program he coordinates to efforts to convince kids to seek out summer employment opportunities, such as those offered through the REB, and then do what’s required to get and keep a job. “One of the things I like about being a police officer is that you can influence people positively — you can get in there and fix things, or try to fix things,” he explained, noting that he puts his work to encourage people to secure summer jobs in that category. And while the young people involved in the summer jobs initiative obviously benefit, said Peters, the region and its business community do as well, and in ways that reinforce the notion that support of the jobs program is an investment that will pay dividends. Summing up the summer jobs initiative, Ward said there are a number of immediate benefits from the public and private funding of these employment opportunities. But the more significant rewards will come years down the road, he went on, when the region’s employers, and society in general, will benefit from having thousands of young people gain work-readiness skills as well as a greater understanding of what it takes to succeed in the workplace — and in life. That’s a lesson Rupert Daniel learned while on his first summer job back in the ’70s, and something he’s committed his time and energy to helping others learn ever since. He discovered as a child that work puts money in your pocket — but it also does so much more. And that’s why he, Ward, Peters, and others say the investments in summer jobs must continue.